MS is described as an autoimmune disease where the body attacks its own tissue – specifically, the central nervous system. “I lost my eyesight twice. I lost complete control of my hands. I couldn’t even open a car door, because I couldn’t put my fingers together,” Kopera said. The most common recommended MS treatment is one of four injected therapies. Kopera received one $200 shot of Avonex at the Nebraska Medical Center per week. As the sole proprietor of a nail and gift boutique, Kopera had to supply her own medical coverage at the time. Kopera had experiences with alternative medicine as a teenager. She said her father introduced her to essential texts and formulas that she uses today in her online store at www.ginascorner.com. Kopera still was not convinced that herbal remedies were as effective as modern medicine. It was during a severe attack where extreme measures stopped working that she took treatment into her own hands. Deciding to do everything in her power, Kopera made a 32-ounce batch of “live juice” with a flavor and consistency close to “swamp water.” Though she now realizes it was enough for four people, she finished the whole batch herself. “Live juice is fresh vegetables and fruit that go into a juicer. You get the same vitamins and nutrients from seven carrots in 10 ounces of juice,” she explained. The results were awe-inspiring for Kopera. A few years passed, and Kopera experienced numbness in her body again that progressed more rapidly than ever. In a panic, she contacted Nebraska Medical Center to schedule another round of steroids. She tried the swamp water again and did not bother to keep the appointment. “The only time I went back was to do a talk one year later,” she said. Seminars and informative presentations are a big part of what Kopera does now. She also has a complete line of herbal remedies that address several ailments. Her Power Products are available on the Web site or locally at the Ancient Wisdom Wellness Center, 305 McKenzie Ave. 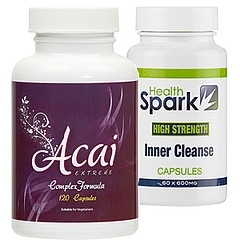 Through research and personal experiments with different combinations and dosages, Kopera developed recipes for healthier living that include a Deluxe Colon Cleanse Combo, which consists of intestinal PowerGrab and PowerPooP formulas. Kopera recommends ingesting only water or herbal teas during the initial cleansing process. “You know you’re doing something right when your energy goes way up,” she said. She will share suggestions for insomnia, weight issues and more during speaking engagements. Other products include a bone, flesh and cartilage formula; thyroid formula to relieve mastitis, thyroid malfunction and tonsillitis; detoxification teas, lotions, hormone regulating formulas and much more. With one month left in a Master Herbalist Certification program, more Kopera Power Products are expected in the future. The Arizona native has been in Council Bluffs for 15 years, where she is raising one son. To read the story of her life’s journey firsthand, go online to www.ginakopera.com. MS patients and others about effective alternative therapies and helping them take advantage of those therapies. Gina also is President of Gina’s Corner at www.ginascorner.com, which supplies top quality Herbalistic Power Nutritional supplements to others to start empowering themselves and taking control of their own life and bringing health and happiness back again. Gina has also done enormous amount of speaking engagements at a top hospital to individual groups. Gina Kopera is living in Council Bluffs, Iowa with her family that I am devoted too, as well as a devotee of alternative medicine. In her spare time, Gina keeps her devoted passion alive, by improving the quality of life and teaching you how she saved her life and her son’s!